Who would have thought that we would use the bustling metropolis of London for some downtime! But that’s how we spent the three days between NYC and our upcoming whirlwind tour of Italy. (And it did take us a while to adjust to the more compact skyline after the towering edifices of New York). 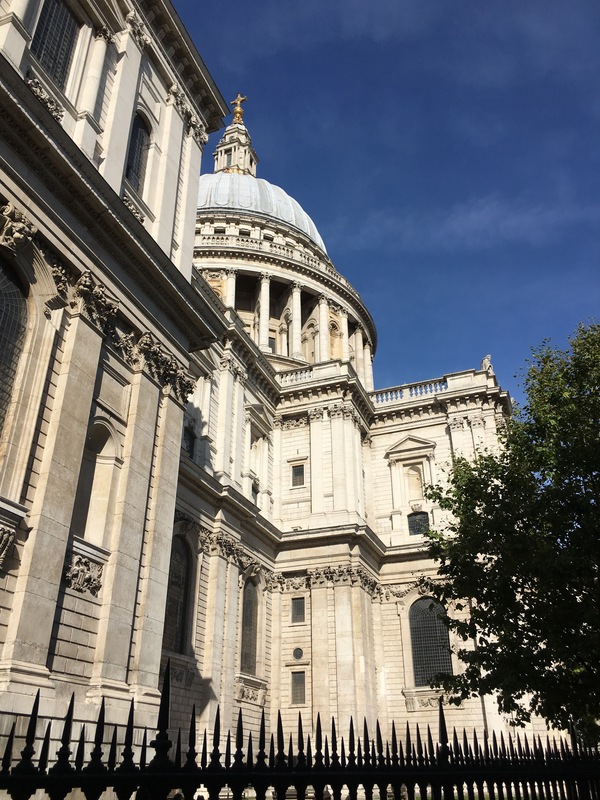 Staying in a cute converted brewery in the financial district, we had a pretty restful few days with some unexpected highlights.​ It was a beautiful morning to see St Paul’s in all its glory. So remarkable that it survived the Blitz intact. ​ London was marking the 350th anniversary of the Great Fire of London and we were staying right amongst all the action. 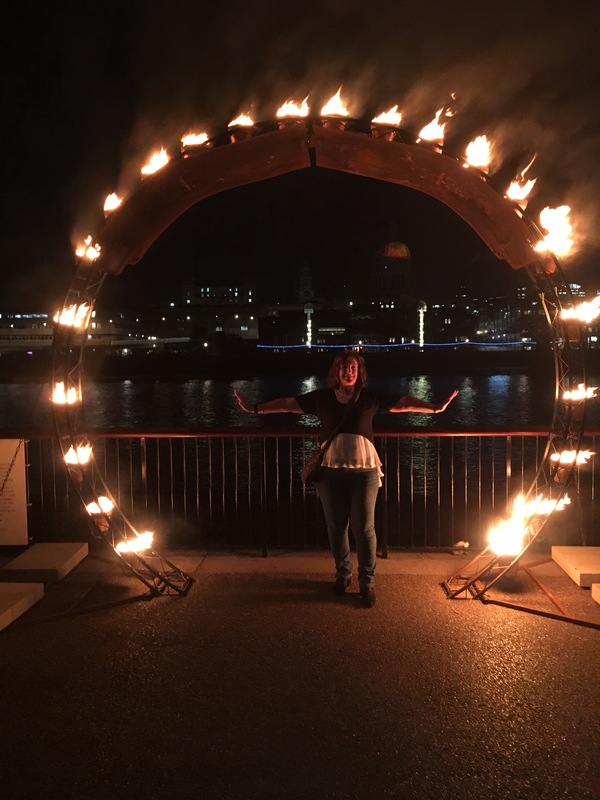 The French troupe Compagnie Carabosse had set up a spectacular fire garden in the grounds of the Tate and the evening was perfect to wander around this spectacular sight, ohh and ahh, and try to work out how on earth they got it past health and safety regulations! I was very glad I wasn’t one of the many people bravely bringing pre-schoolers, toddlers and dogs. The next day dawned rainy and grey so we contented ourselves with a visit to the Tate Modern and yet again were inspired and moved by stunning modern art. I have decided there is definitely a limit as to how much I can absorb on one visit. For our second evening we had bought tickets to A Curious Incident of the Dog in the Nighttime. Not knowing what to expect, we were treated to a stunning production. 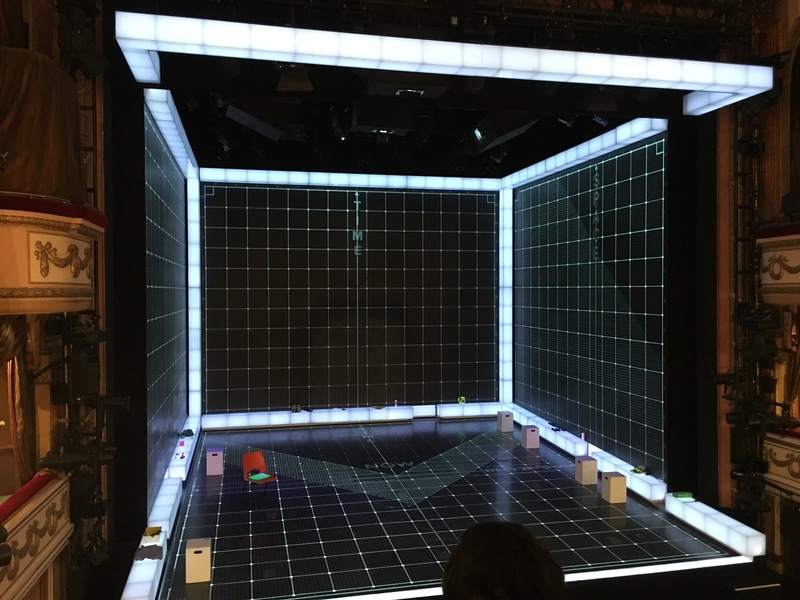 Strongly and successfully reliant on a set consisting of interactive screens, clever graphics, and multimedia and remaining very close to the original book, it had us gripped from the minute we sat down in front of the stark and avant grade stage. Highly recommended. On our last night it was very wet but we managed to find a suitable spot, order fish and chips and mushy peas and watch a section of the 7km domino trail that followed the path of the original fire. 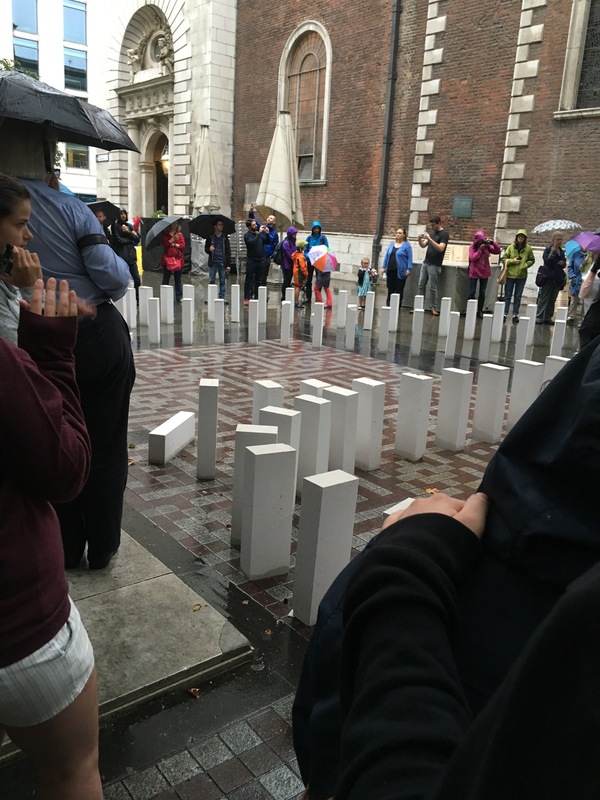 We had spent all day watching literally hundreds of volunteers painstakingly organize and set this up and I really felt for them as the rain kept the anticipated crowds away. However once the domino fall started there were many enthusiastic chasers running from one spot to another to watch them cascade down. In hindsight- we didn’t catch our breath that much! Looking forward to our longer stay here at the end of our trip. Next stop Italy – the big unknown and much anticipated part of this trip. One. More. Sleep. Glad you’re enjoying your time on my home turf! And now for Bella Italia, sounds wonderful. Was all too short but we have a whole week at the end of our trip!